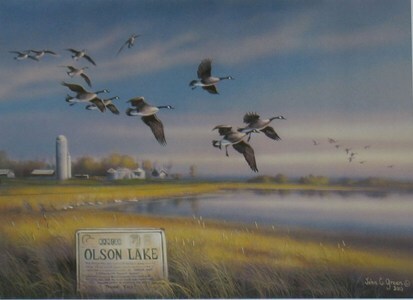 John C. Green is a three-time state duck stamp competition winner and received the Judge's Award of Merit at the National Wildlife Art Show. The South Dakota Hall of Fame selected John as State Artist of the Year in 1991. With over 30 years of experience as a professional artist and over 55 sold out limited editions to his credit, John C. Green's career is going strong. 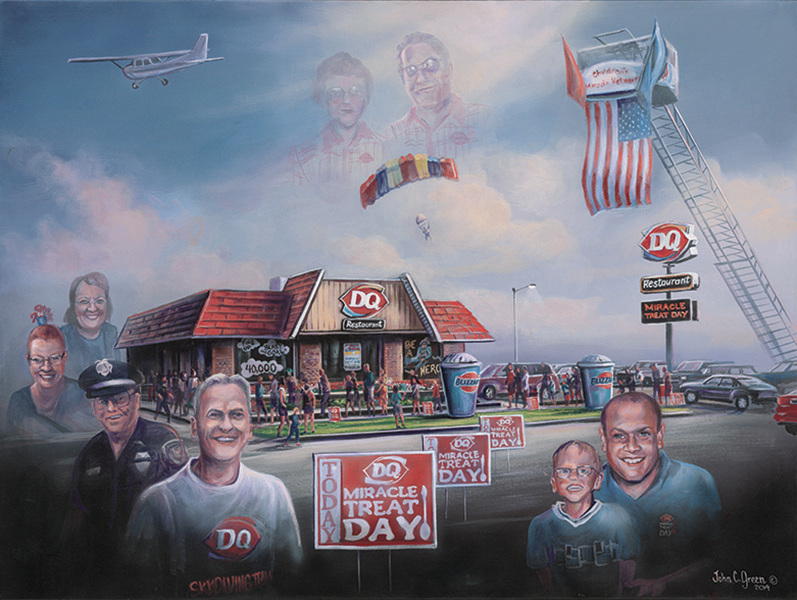 Dairy Queen Miracle Treat Day. To order a print call DeLon Mork at 605-256-4042. The unframed prints are $100. All proceeds from this print will go to the Children's Miracle Network. Contact John Green for purchasing information, click on print for larger image. John Green is an accomplished wildlife artist who has donated prints and original artwork for fundraisers throughout the nation. 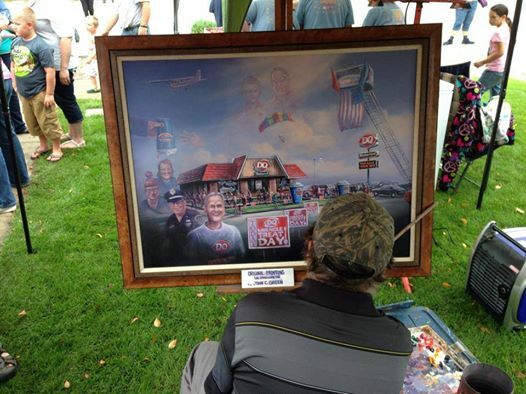 John's wildlife artwork has raised over $3 million for Ducks Unlimited over the years.